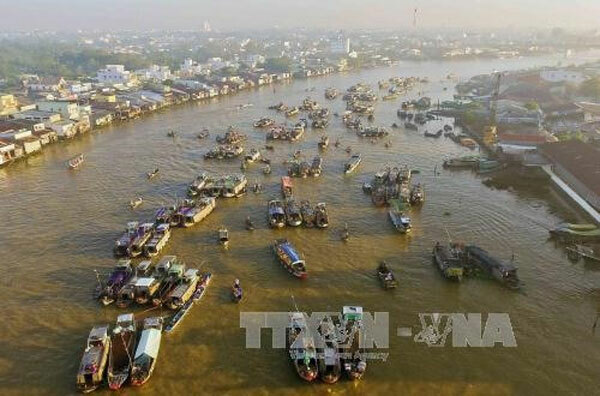 Can Tho City in the Cuu Long (Mekong) Delta hopes to boost tourism with a clutch of cultural and tourism events in the next three months, according to its Department of Culture, Sports and Tourism. It plans to host the Tan Loc Fruit Garden Festival, Cai Rang Floating Market Festival, Ninh Kieu Flower Garland Festival and Phong Dien Ecotourism Festival, Nguyen Hoang On, director of the department’s Tourism Development Centre, said. Tourism revenues were worth more than VND496 billion (US$21.94 million), a year-on-year increase of 2 percent. Last year, the city had welcomed 5.3 million visitors and earned revenues of VND1.8 trillion ($79.64 million)./.